My husband and I live in a city with no immediate family and very few relatives at all. We are seldom without the baby. In 8 months, I’ve been without him, maybe eight times. So when I get those rare opportunities to fly solo, I pounce on them with little shame. I don’t talk about the baby ceaselessly. I don’t feel panicked that something might be wrong. I don’t even Facetime him half the times. I do me, and that is a privilege I have completely because of my support system. My husband makes sacrifices and prioritizes trips home to Chicago for me when he’s busy working. And when I’m there, I don’t worry about my son, Donovan, because I don’t have to. I trust my mom, aunt and first cousins with him completely. I can list my demands without being politically correct and happily micromanage Donovan’s dietary needs without judgment – well with little judgment and many jokes. My family simply gets it because they get me. Even if they deem my parenting wants ridiculous, they still respect them (outside of one unapproved watermelon tasting). 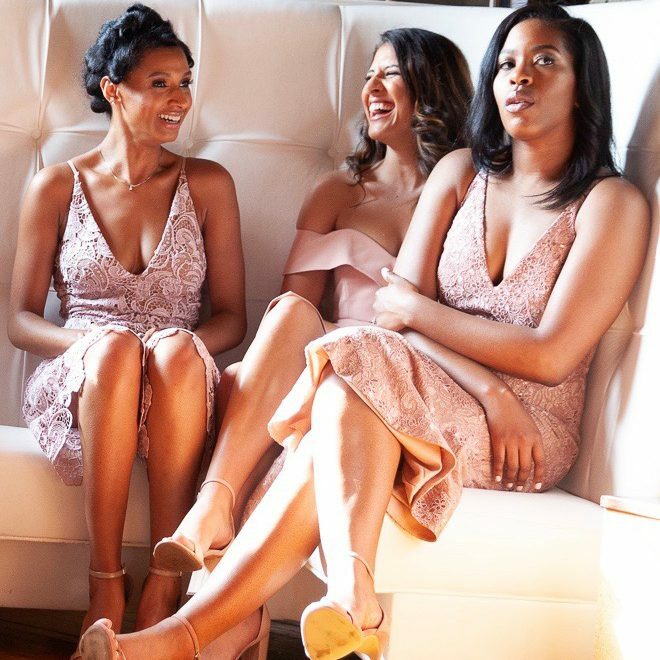 So when one of my closest friends wanted to celebrate her nuptials with a huge party, I had the freedom to go and completely let my hair down without having to worry about my child. He was with his big cousins, and I knew he was OK. I got my hair done, sipped mimosas through makeup appointments with other friends and took photo after photo. We talked about everything from fashion to the struggle of being members of the itty bitty t**** committee. What we seldom talked about, however, was parenting. I didn’t realize how much I needed that. Donovan really can feel like a little bundle of everything good and pure in the world. Who doesn’t want to spend every day wrapping herself around what’s good and pure? My husband and I just beam watching him grow each day and reach new milestones. Sometimes I forget about me all together, and that’s where God comes in. He shows me I am human. I get tired. I get hungry. I get disappointed and impatient. I have wants and desires outside of my child. I still crave seafood and a good cocktail from time to time. I want to lie on the beach and travel to new places. I want to date my husband, to laugh uncontrollably at our favorite comedy spot and to recap our days alone together in bed. I want to be nearer, always nearer to the people I love. I am a daughter, a wife, a sister and a friend. I have responsibilities to people other than the little person currently whining in his crib. My sorority sisters and I are still planning our 10-year reunion trip. I have three besties turning 30 over the next few months, and someone has to nudge the group into finalizing plans for our annual Christmas grab bag. I am a whole and complete person, and it’s taken me precisely 29 years to get to this point. I don’t want to trade myself in for my son. I want to become a better version of myself for him. This post hit home to me. My son is now two and I’ve just gotten to the point of reclaiming my identity. It’s important to maintain a life outside of being a wife and a mom. One of my good friends and I of a monthly mommy wine down in which we sip wine and just talk. No discussion of children allowed! I firmly believe that everyone mom needs at least 2 nights a month in which she can be whoever she wants to be without having to worry about caring for the kids. It’s important for our sanity. Happy you are able to maintain your sense of self while being a mom. I hope I can keep it up. I totally get how it would be hard to over time. I do love that wine and talk idea though! Two of my favorite things! It is so easy for your world to become all about your child, but it’s so important that it doesn’t. Glad you’re managing to still be you while being mom. One, you look great. I used to be that mom whose entire world revolved around her new baby because she is my rainbow baby and my only baby. But then I realized I needed to take care of me so that I can be the best me for her and my husband. I remember those days and remember it took me quite a few years to really reclaim my identity. My husband and I moved 2000 miles away from family and it was tough to make time for myself other than professionally. I would do things differently if I had to do it over again when it comes to making more time for me. You look fantastic and I love your dress! Well for starter you look lovely, as do your mom and aunt! I believe it’s important not to lose yourself in anything or anyone. I know that can be tough when you’re looking at this tiny little person you created. You did a great job finding time for yourself! That is great that you are focusing on not losing yourself! Because I know I’ve heard of a lot of moms feeling that way. Keep up the great work. You look great! 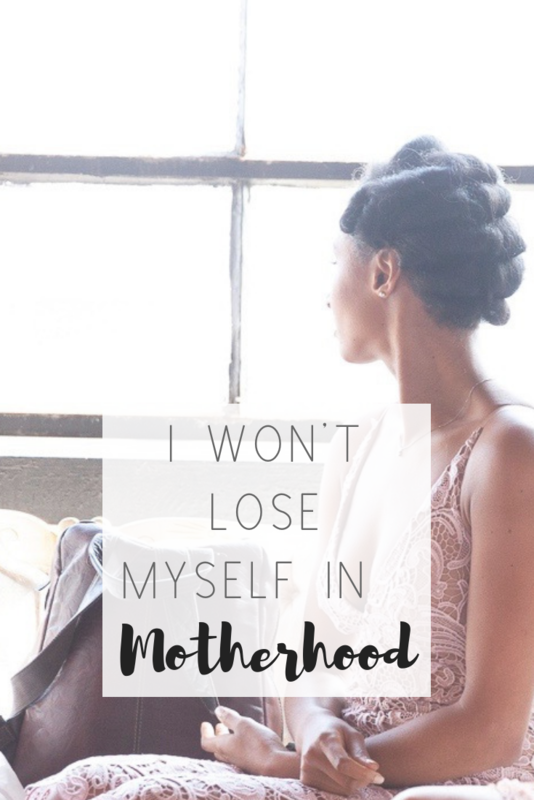 Becoming a mom and not losing yourself is a tough feat but I salute you for making sure you don’t lose yourself! Having a great support system is EVERYTHING! I think I am finally getting to the point of wanting to get back to me! Having time to be yourself is not "treat," it is a NEED. I am fortunate my family acknowledges this need, and gives me ample time alone. 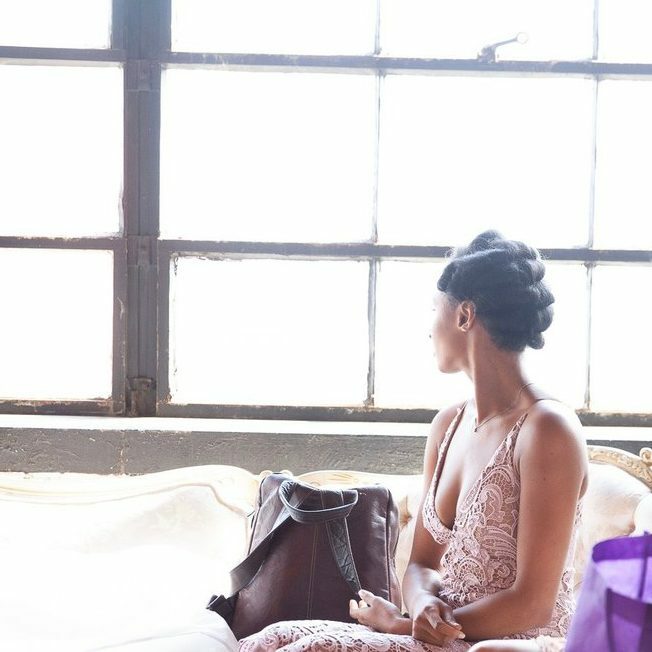 We all respect each other’s "alone time" and this is how we can grow emotionally.